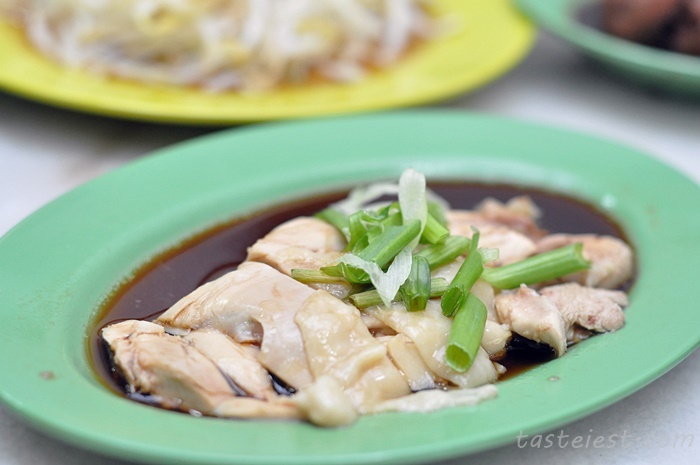 If you are familiar with one of the famous beansprout chicken rice at Air Itam in the 90′ then you must be familiar with this awesome chicken rice. 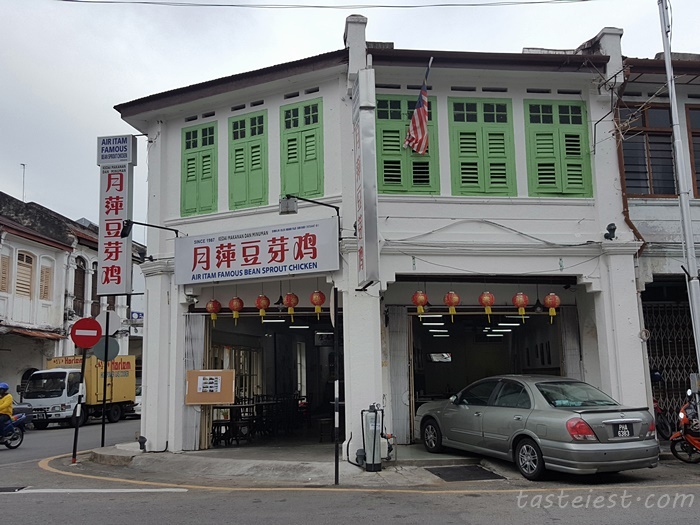 I has been eating this shop for more than 20 years and excited with the reborn of bean sprout chicken rice at Kimberly Street now, right opposite of Goh Huat Seng Charcoal Steamboat. Chicken Breast RM4 while Drumstick, Thigh and Wings RM4.50. 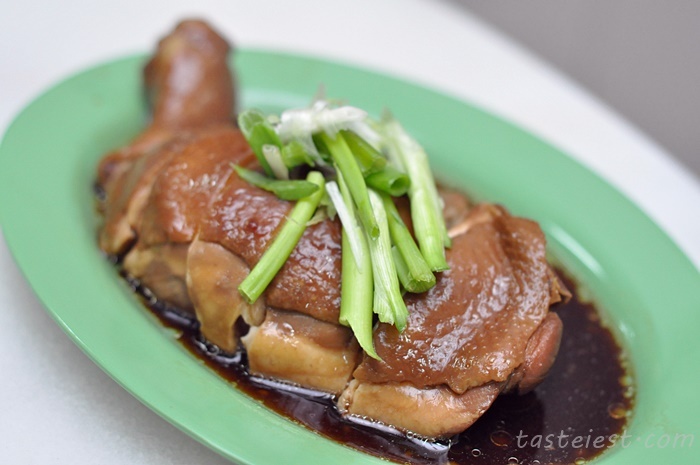 As usual the chicken is perfectly cook to tender and tasty, and the special made soy sauce add great flavor to overall. Beansprout RM2(Small), RM4(Medium), RM6(Large). 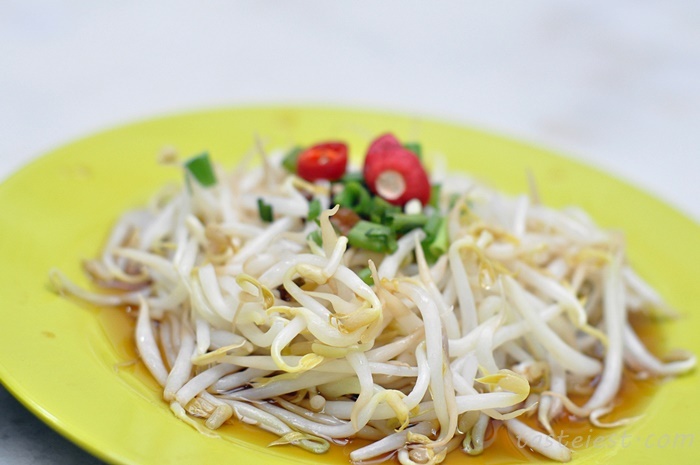 Fresh and crunchy bean sprout is always the best companion for chicken rice, with a spoonful of soy sauce and pork oil making it taste good. 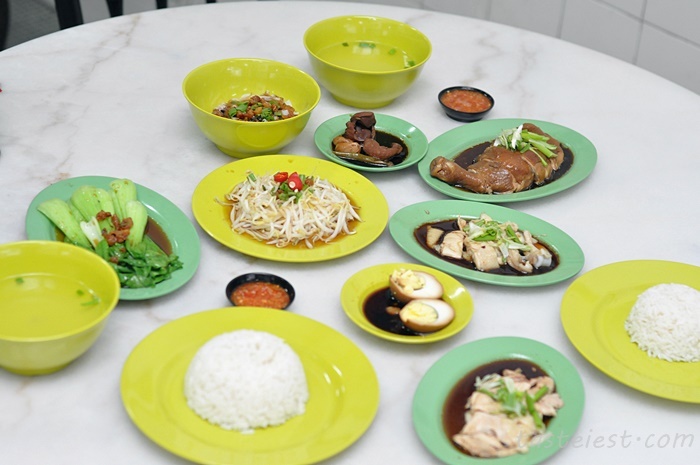 Chicken Gizzard RM2(Small), RM4(Medium), RM6(Large). 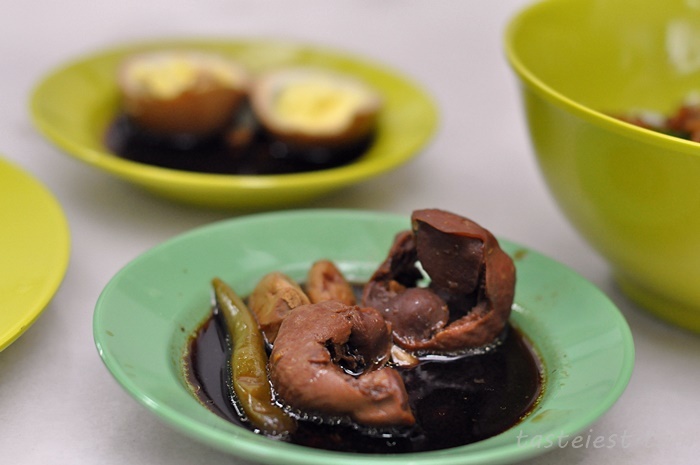 I highly recommend this dish although many people prefer not to eat organ but it taste really good, gizzard are cook for long hour to allow sauce flavor fully absorb and it doesn’t have any chewy texture at all. 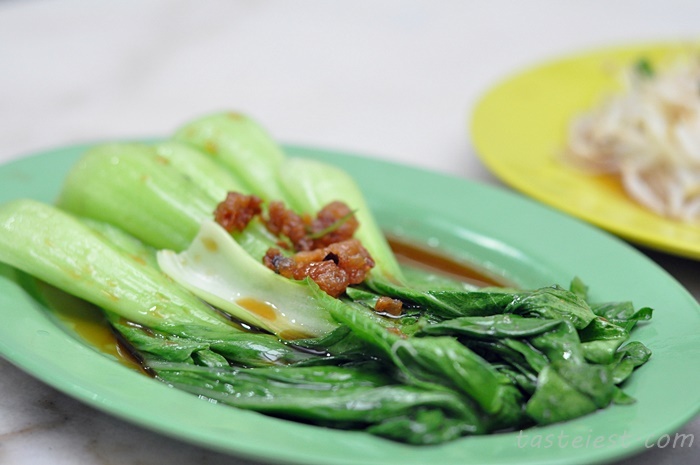 Vegetables RM3(Small), RM6(Medium), RM9(Large). 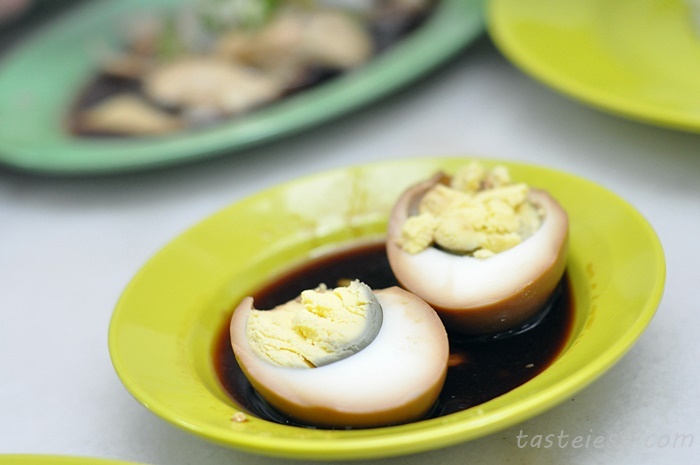 Topping with soy sauce and pork oil always the best. 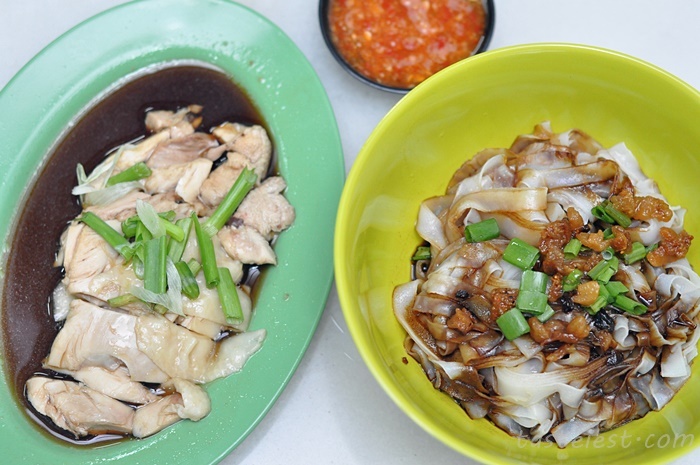 Dry Koay Teow RM1.80, it served with dark soy sauce, pork lard and spring onion. 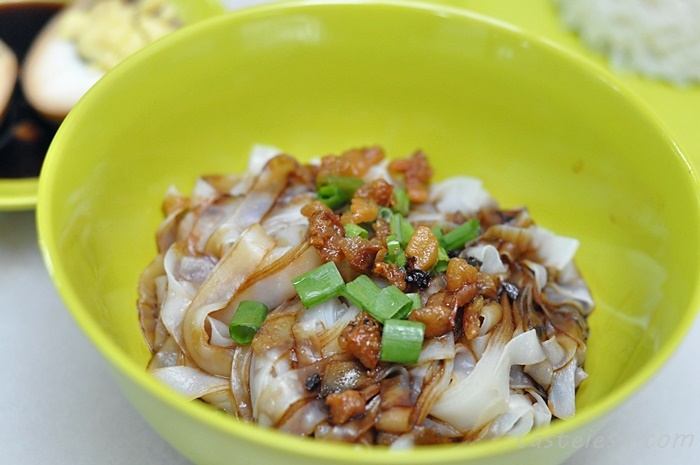 If you are pork lard lover then this will be must order dish, it has very strong pork lard fragrance that fully cover our mouth and add on a big pieces of chicken meat is just awesome. 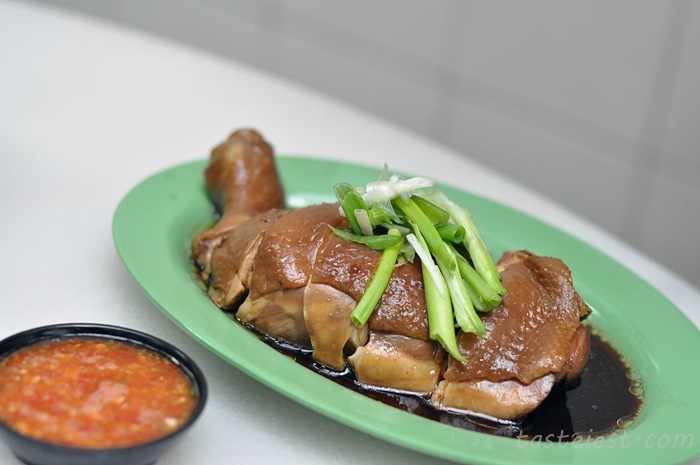 Braised Whole Drumstick RM10, this is something new on the menu and it is huge in size. A little bit strong taste on the sauce will definitely help to increase the overall flavor but nevertheless it still has the soft texture..
Rice was cooking using chicken broth and fat but i found it could be a little more fat to have that smooth and fragrance taste. 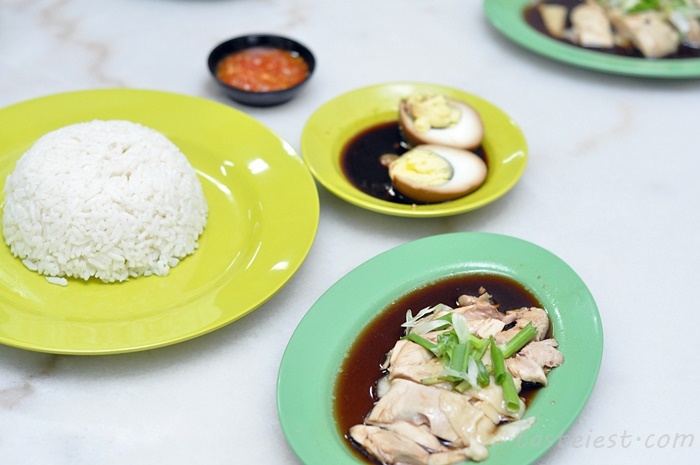 Chili sauce is another key element in a good plate of chicken rice, a big spoon of chili boost it overall flavor. 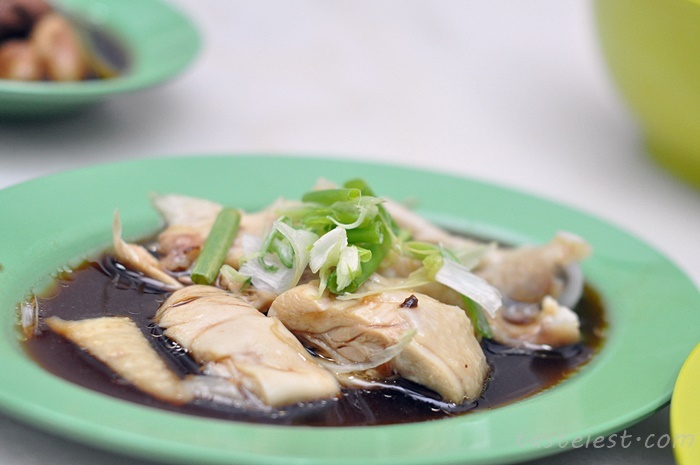 A little bit of acidity taste with spiciness is great for a spoonful of rice and chicken meat.